Michael Papps calls time after playing 20 seasons in domestic cricket, representing Canterbury and later Wellington. 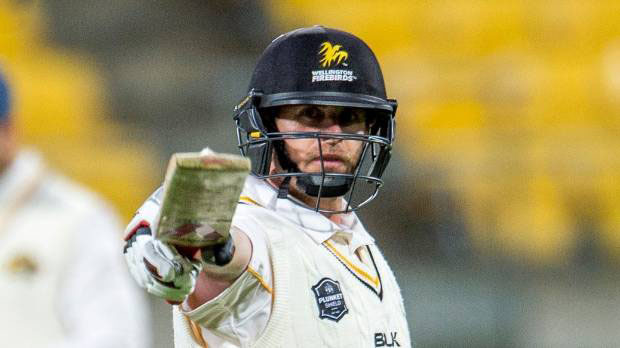 Wellington: Veteran New Zealand opener Michael Papps, who was the first man to notch 10,000 runs in the Plunket Shield, has bid adieu to his 19-year long illustrious first-class cricket career. The 38-year-old, who made his international debut for West Indies during the ODI series against South Africa in 2004, calls time after playing 20 seasons in domestic cricket, representing Canterbury and later Wellington. Confirming the news, Papps said," The personal and collective triumphs, the runs scored, the days in the dirt, and the games won and lost are all memories I will take away, but most of all it will be the people, the teams I've played for, both here and overseas, and the great friends I have made that I will cherish the most." Papps, who has played a total of eight Tests and six ODIs for New Zealand, begun his career with Canterbury in the 1998-99 season and went on to score 6,663 runs for them. In 2010-11, he switched to Wellington, where he added another 4,837 runs to his tally and scored 13 centuries, ESPNcricinfo reported. Meanwhile, Papps also played 166 matches in List A cricket and smashed 5,810 runs, including 12 centuries and 32 fifties.